Grandpa's Rye Whiskey is made with rye and corn. The corn mellows and sweetens the tendency of a harsh rye. This aged Rye Whiskey is both sweet and spicy and with a bit of a fruity note. Grandpa's Rye is best enjoyed simply over ice or in a Manhattan. Grandpa's Wheat Whiskey is made with wheat sourced locally in the Western Washington. The wheat lends to a very soft and smooth Whiskey. This Wheat Whiskey is bold with flavor, yet soft, with hints of buttery caramel. It finishes with a nice surprise of slight cherry notes. Grandpa's Wheat is best enjoyed simply over ice or in a Bad Dog Manhattan. 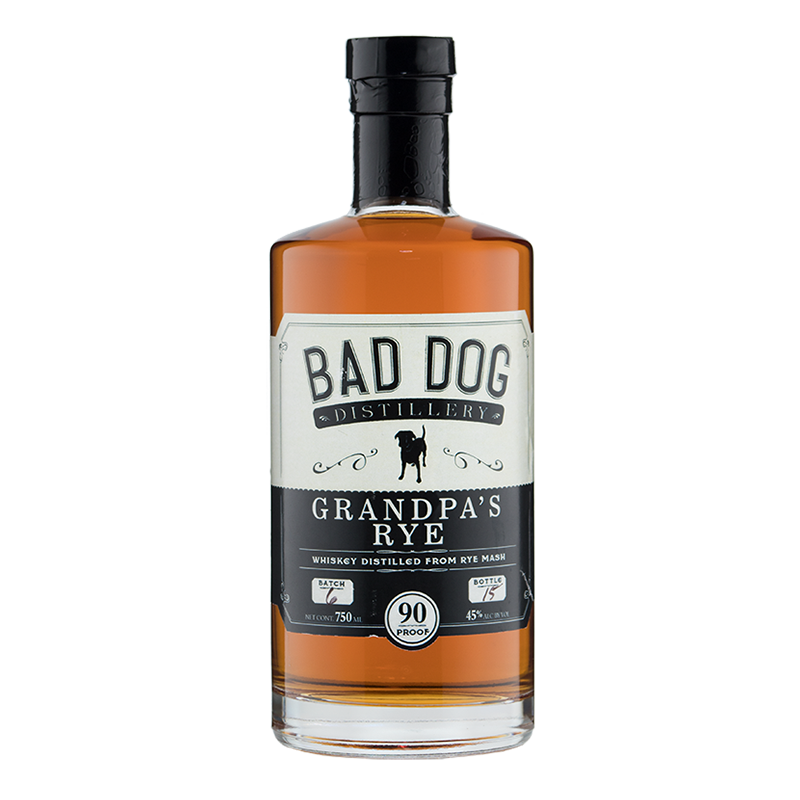 Bad Dog Distillery's award winning unaged-whiskey blended with unfiltered apple cider and a cinnamon stick. Simply Done... Distilled Spirits Specialty. Spirits distilled from corn with apple and spice. Taste the simple goodness of apples and cinnamon, with a little kick of moonshine. 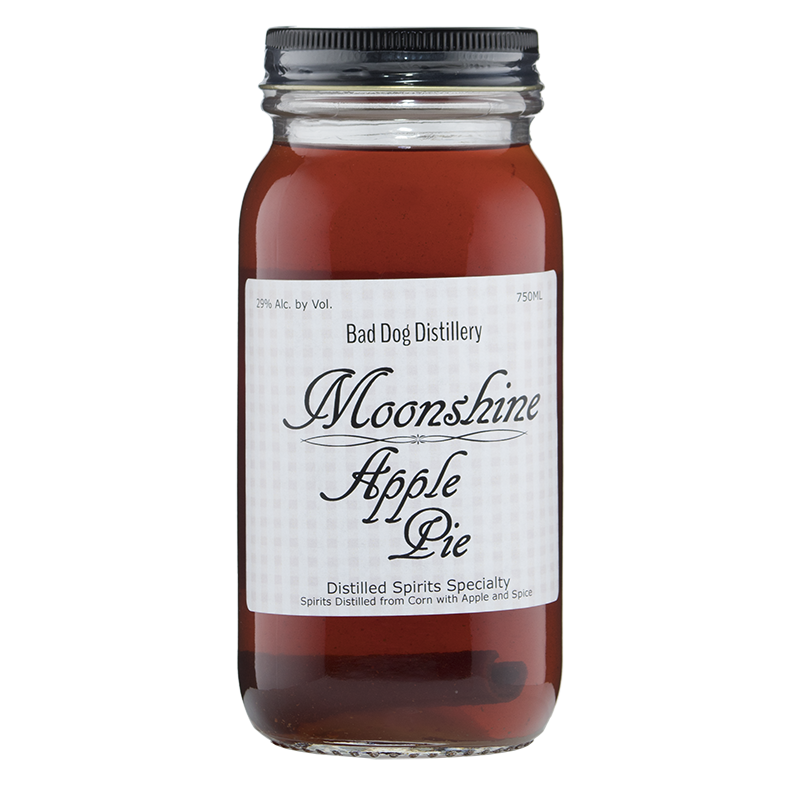 The most favorite way of enjoying Moonshine Apple is simply passing it around the campfire. It is also delicious over the rocks, or mix with a good ole' fashion lemonade.